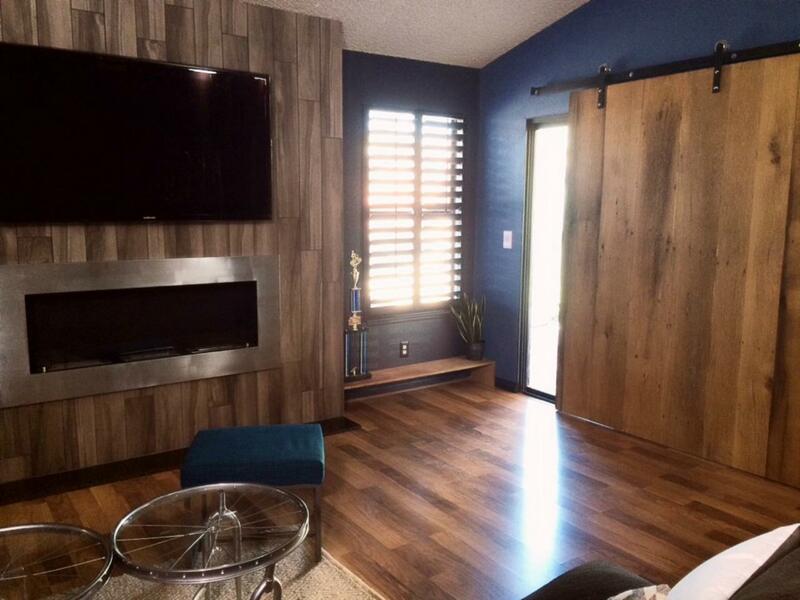 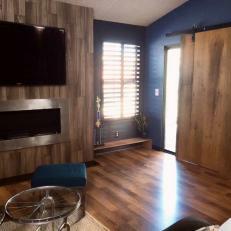 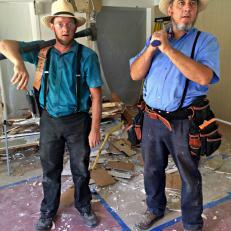 Albert and Leon's polished workmanship brings Ricardo's bachelor pad to life on the show Amish RENOgades. 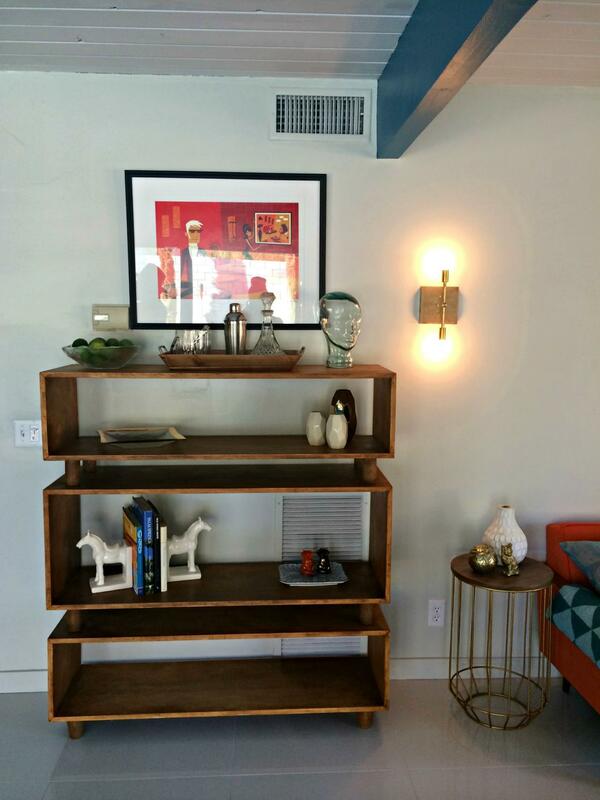 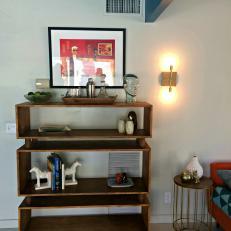 Albert and Leon crafted this stylish shelf unit for Carmen and Bart's living room on the show Amish RENOgades. 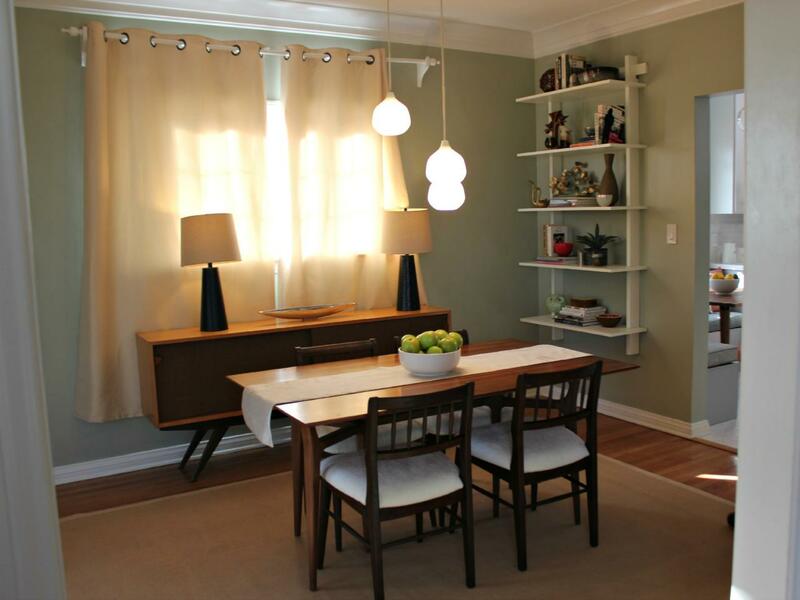 Robert and Albert outfit the Sumners' dining room with elegant handmade furniture and eclectic lighting fixtures for their hit show Amish RENOgades. 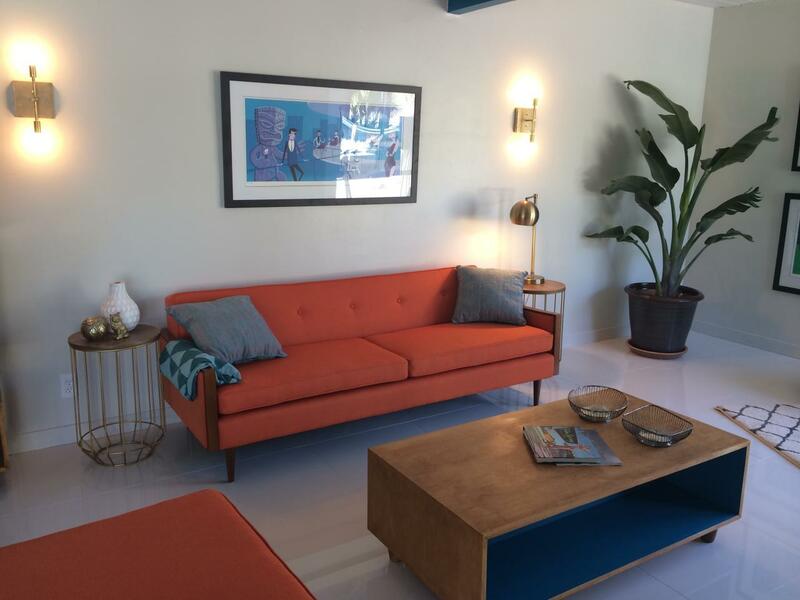 The Amish RENOgades renovate Carmen and Bart's Palm Springs home, creating this refined mid-century modern space. 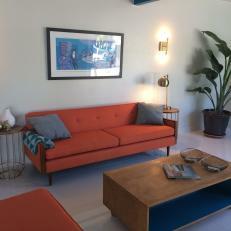 The room features a coffee table handcrafted by Albert and Leon. 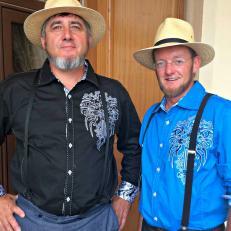 Albert and Leon proudly display the new shirts they bought to wear to a pool party in Las Vegas during the taping of the Amish RENOgades show. 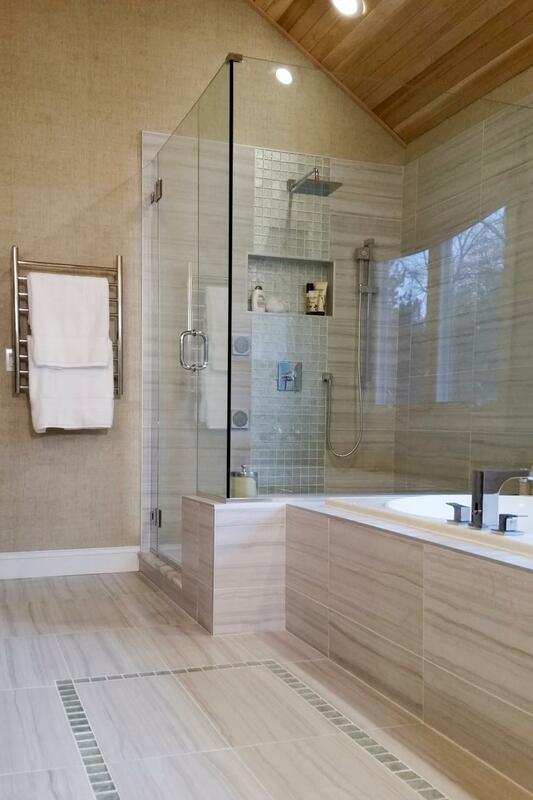 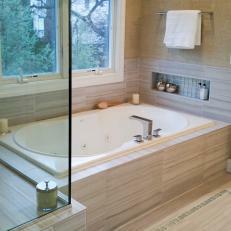 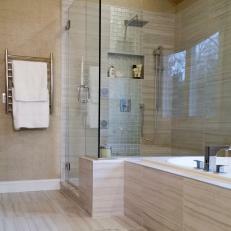 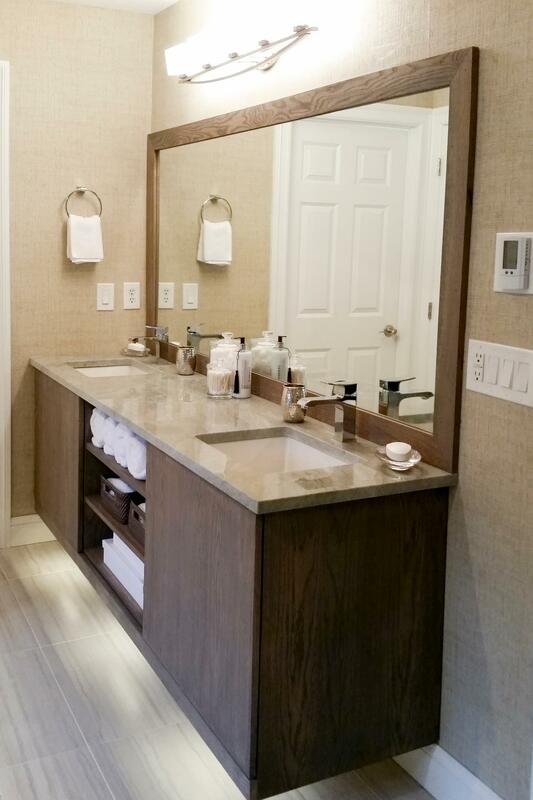 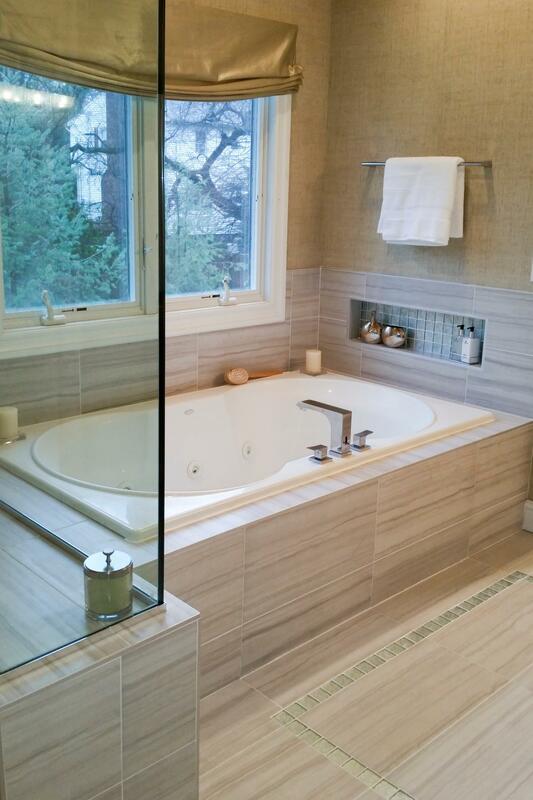 This modern bathroom features wood paneled ceiling over the glass shower, as seen on DIY Network's Amish RENOgades. 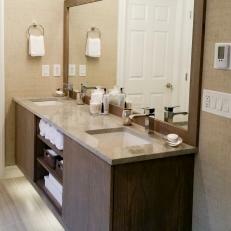 This brown and gray features a large white bathtub, as seen on DIY Network's Amish RENOgades. 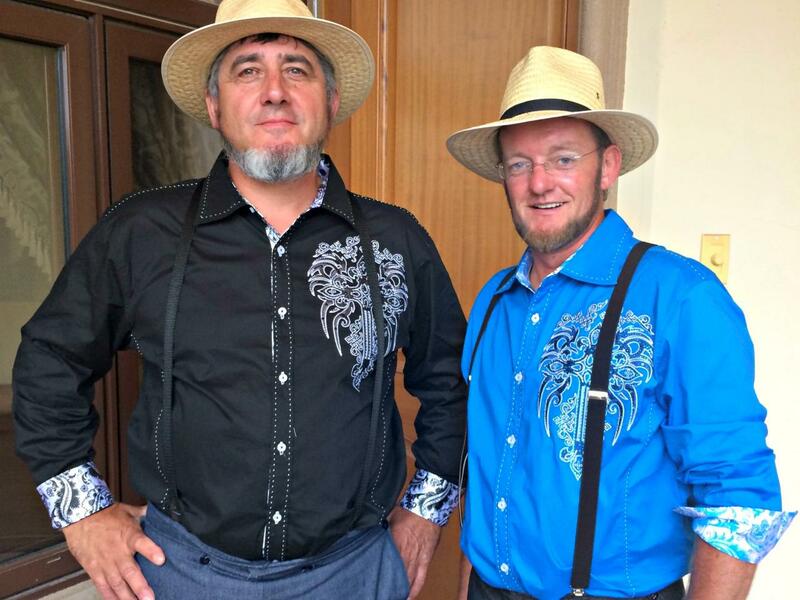 On their cross-country road trip to raise money for their community, the Amish RENOgades encounter all sorts of new experiences, like learning how to work a navigational system and driving a car for the first time. 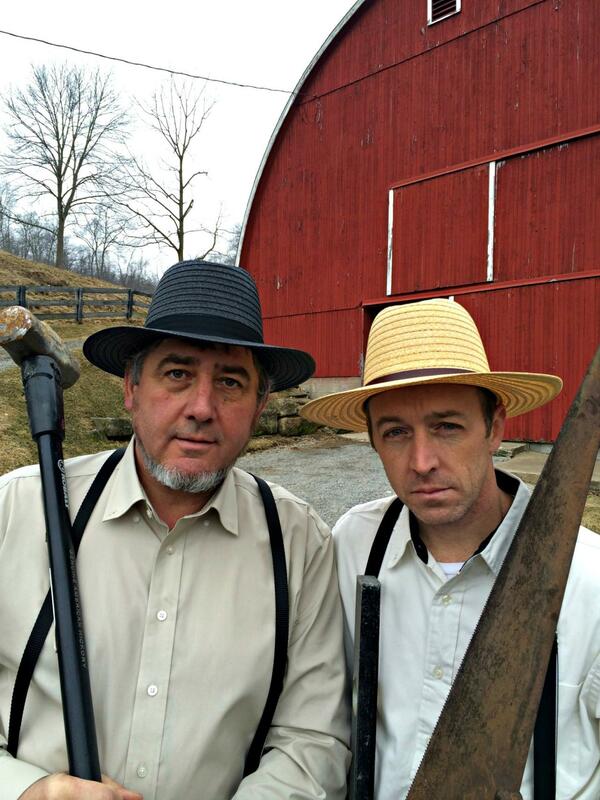 The Amish RENOgades spent most of their lives in their Amish community in Holmes County, Ohio, the largest Amish settlement in the United States. 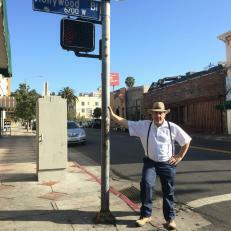 On their trip, they are excited to visit big cities they have never seen before, like Los Angeles, Las Vegas and Chicago. 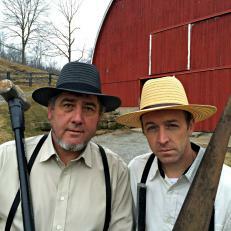 Albert Miller (left) and Robert Schlabach (right), two Amish craftsmen from Holmes County, Ohio, have gone rogue. 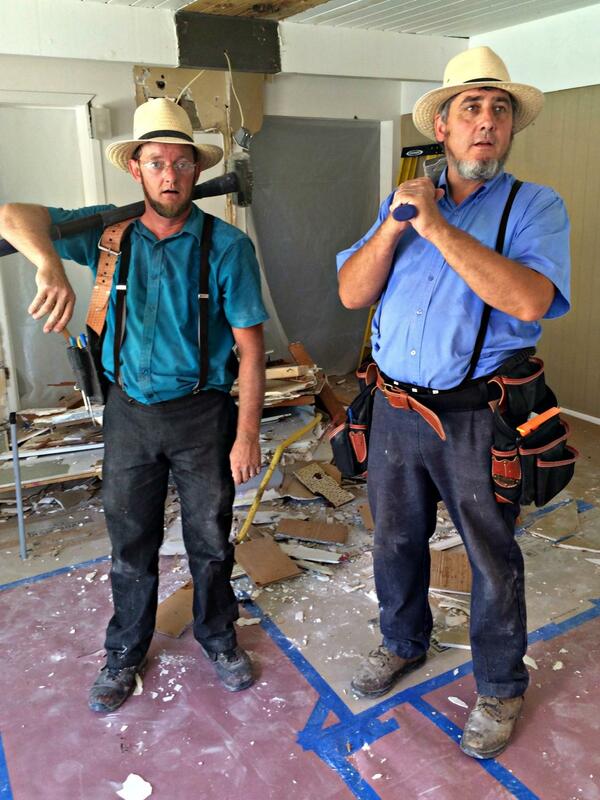 They're taking their expertise on the road and renovating homes across America on DIY Network's Amish RENOgades. 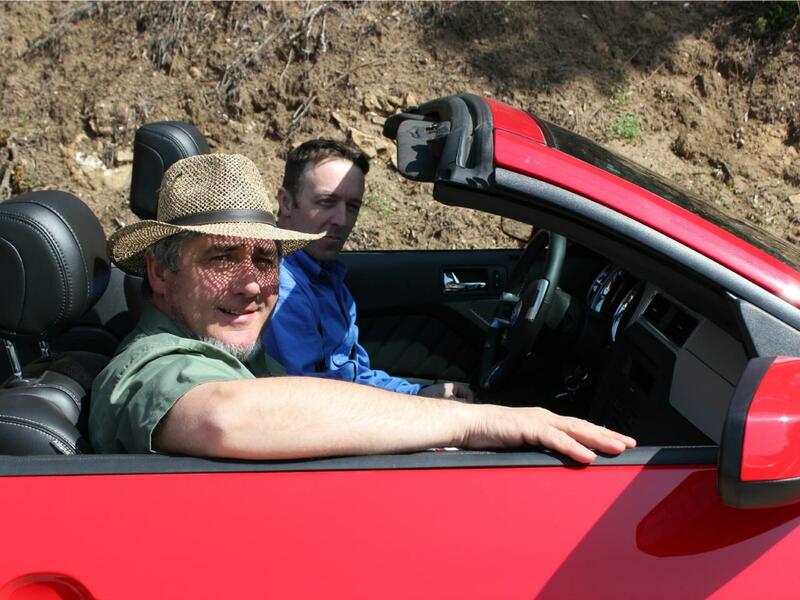 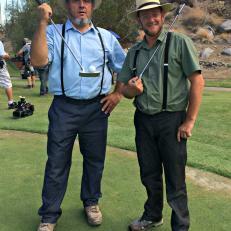 During their visit to Palm Springs, Albert and Leon go golfing for the first time during taping of the show Amish RENOgades. 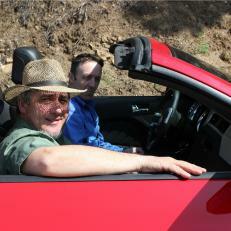 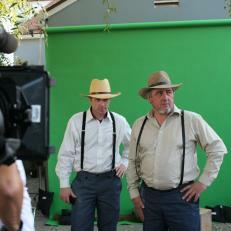 Here, Leon and Albert are mid-demo at the home of Carmen and Bart in Palm Springs, California on the show Amish RENOgades. 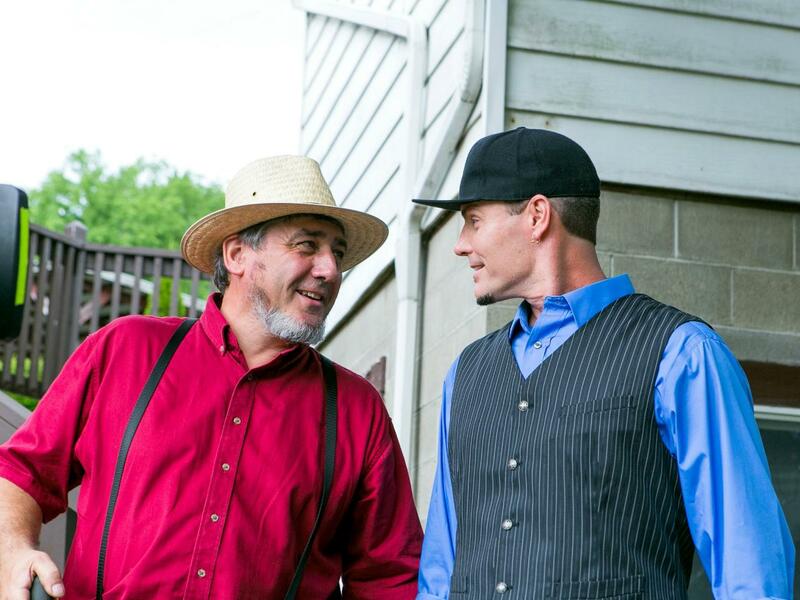 Albert and Robert had their TV debut when rapper-turned-renovator Vanilla Ice headed to Amish country to learn a thing or two about quality craftsmanship in his DIY Network series, Vanilla Ice Goes Amish. 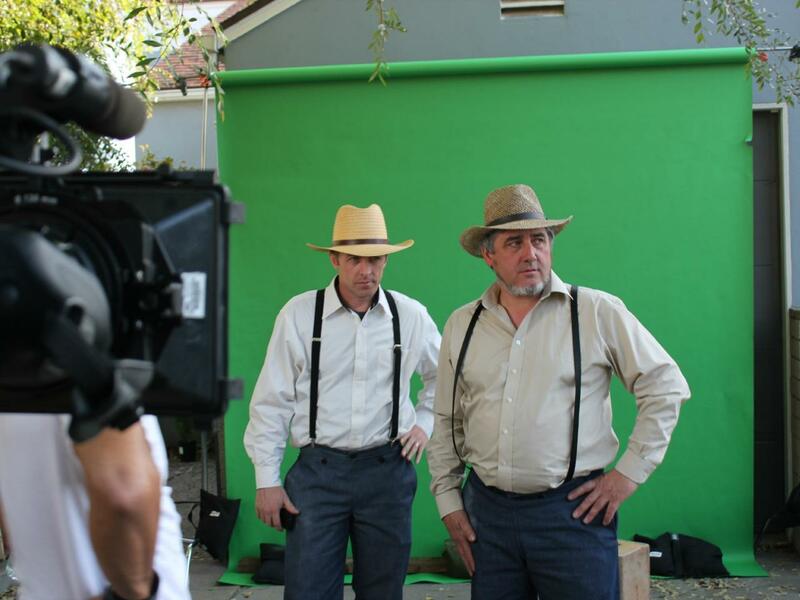 Here's a behind-the-scenes shot with Albert and Ice on the show Amish RENOgades. 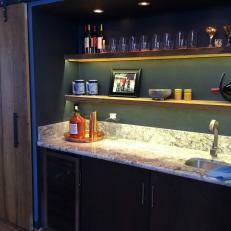 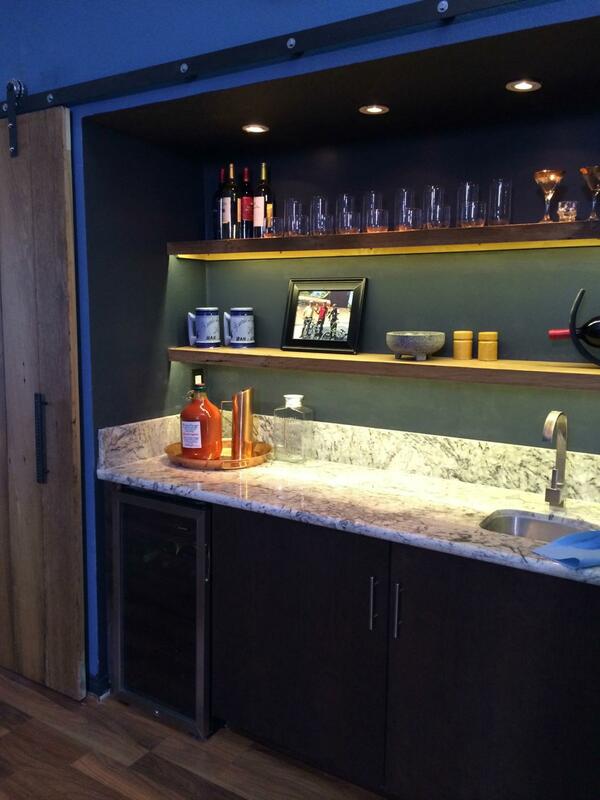 While the Amish might abstain from alcohol for religious reasons, that doesn't stop them from making this elegant wet bar for Ricardo's home in Las Vegas on the show Amish RENOgades. 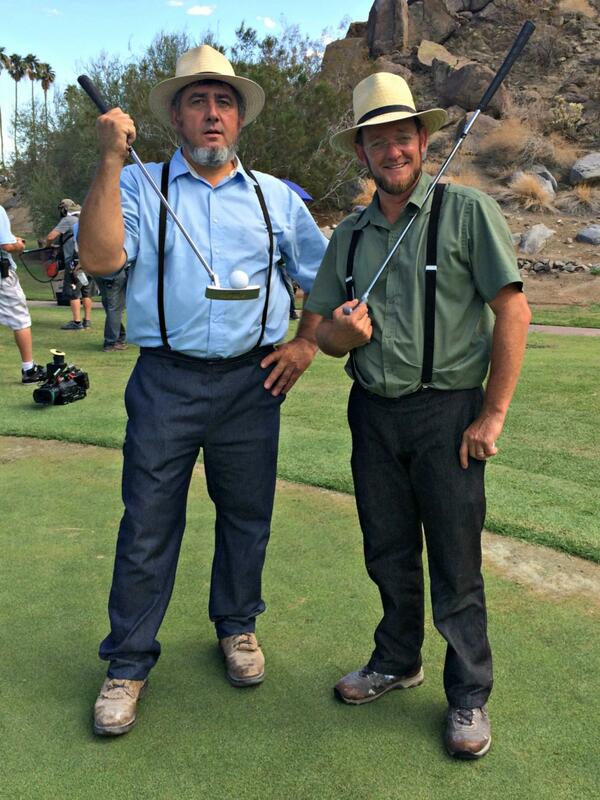 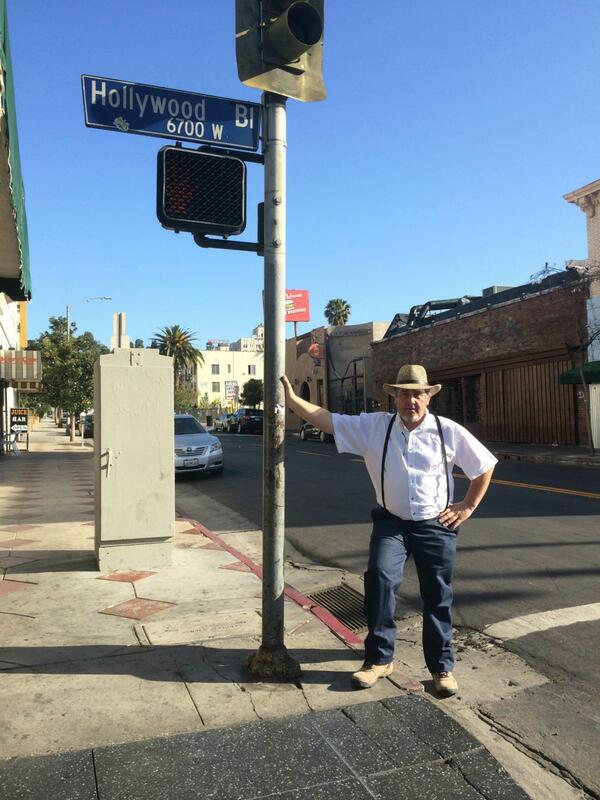 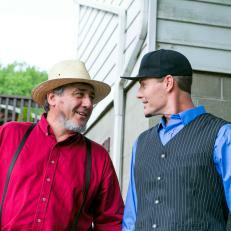 Shooting and starring in a television show like Amish RENOgades is no doubt a unique experience for Robert and Albert, especially considering that Amish tradition forbids them from owning televisions. 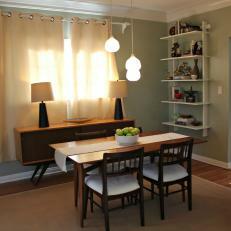 Their first stop is Southern California, renovating the home of Keith and Hannah Sumner. 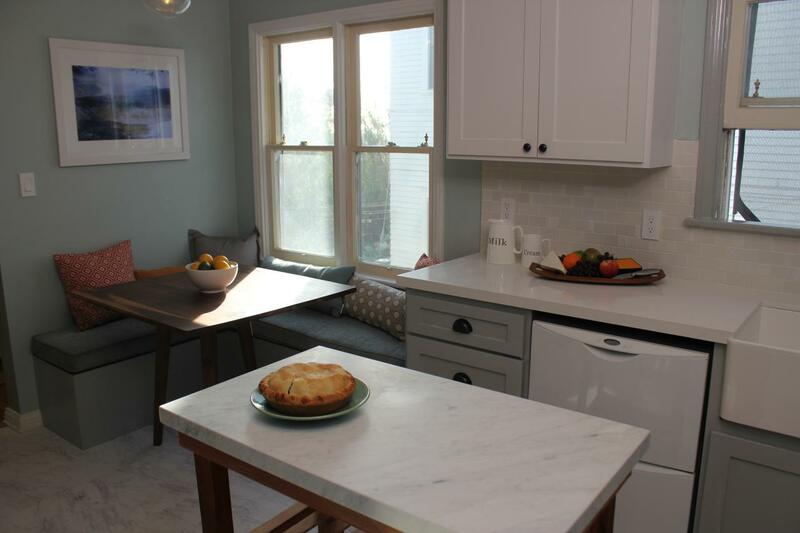 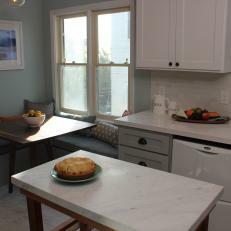 Their craftsmanship transforms the couple's kitchen with cottage style on the hit show Amish RENOgades.